The lawsuit cites high failure rates and negative consumer reviews for Seagate’s 3 TB consumer hard drives. Seagate is facing a class action lawsuit over its 3TB consumer hard drives, which by some accounts have suffered unusually high failure rates. The lawsuit, filed on February 1 in the U.S. District Court for Northern California, primarily cites reliability data from Backblaze, a cloud backup provider that builds its own storage pods from consumer hard drives. In Backblaze’s experience, Seagate's 3TB HDDs failed at much higher rates than other drives, prompting the storage provider to phase out those drives by mid-2015. 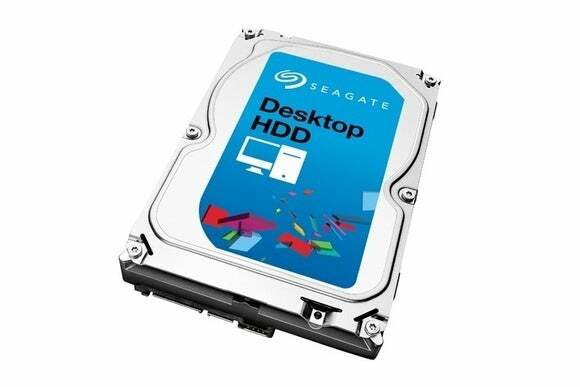 The lawsuit also points to user reviews on Newegg.com for Seagate’s 3 TB Desktop HDD, which totals more than 700 reviews with two or fewer stars. That’s more than the number of reviews with four or five stars. As for the actual plaintiff, named Christopher Nelson, the lawsuit says he purchased a Seagate Backup Plus drive in 2012, and it “suffered a catastrophic failure with little to no forewarning” in 2014. Although Nelson wasn’t able to recover his data, the drive was under a two-year warranty and Seagate sent a replacement. This drive, apparently a refurbished model, also failed less than a year later. The lawsuit alleges that because all of Seagate’s 3TB drives were prone to high failure rates, replacing those drives with the same model was not an effective solution. The law firm Hagens Berman is still seeking people to join the class action lawsuit, and has posted a contact form for affected Seagate users on its website. The story behind the story: As we’ve noted in the past, Backblaze’s data may not represent the average consumer experience. The company puts its drives through rigorous use, which may in turn put greater wear on drives that are designed to spin down and save power when they’re not needed. That’s not to say Seagate isn’t at fault, but the case isn’t so cut-and-dry given the many variables that can factor into hard drive failure.